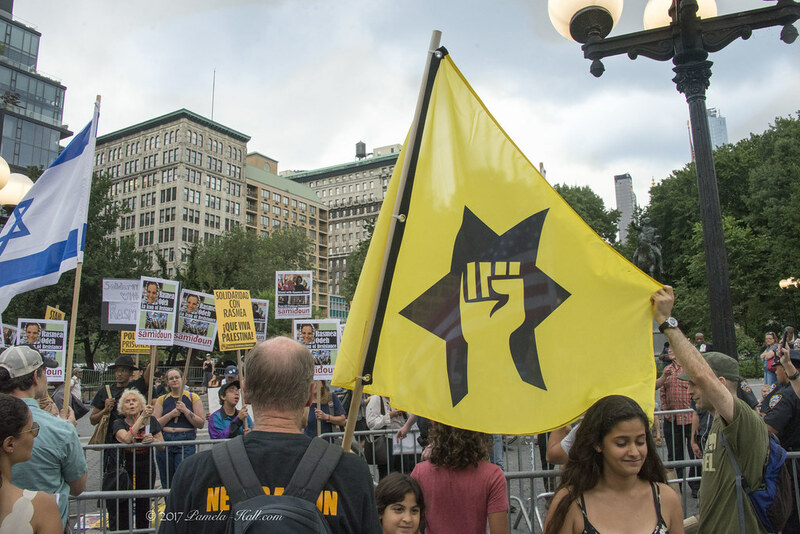 "We urge all to join us on 14 August in NYC to show our love and support for Rasmea Odeh before her sentencing in federal court three days later in Detroit. 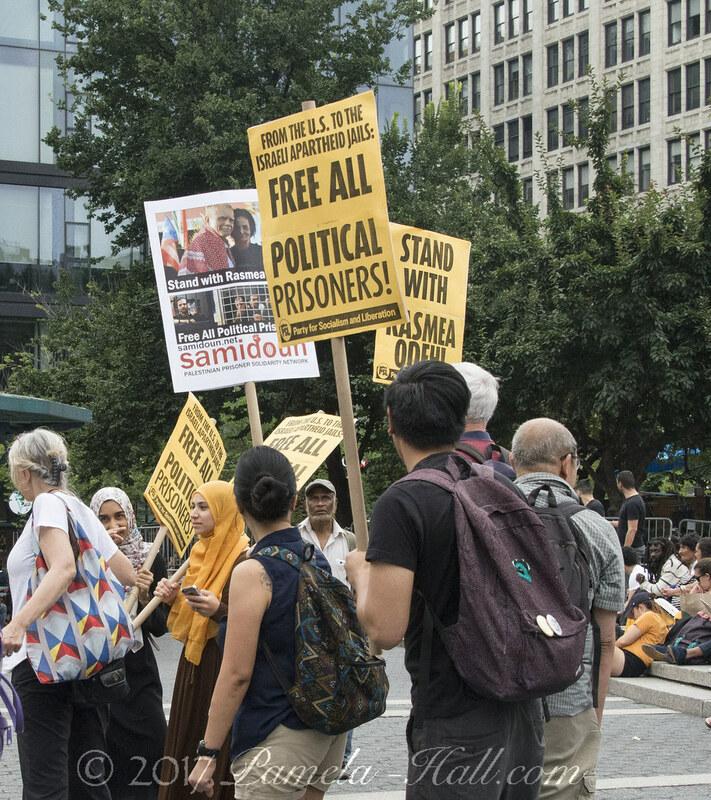 This will be her last court appearance and Rasmea is planning to make a statement. 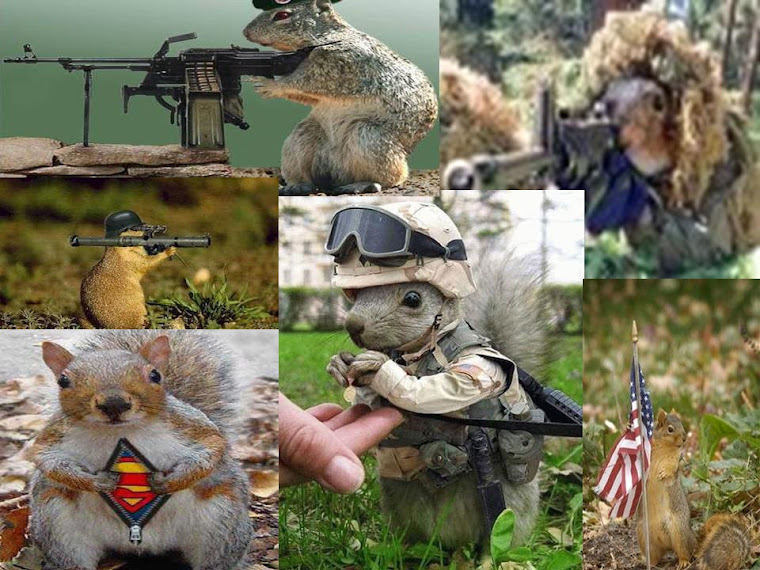 Freedom Socialist Party - U.S. 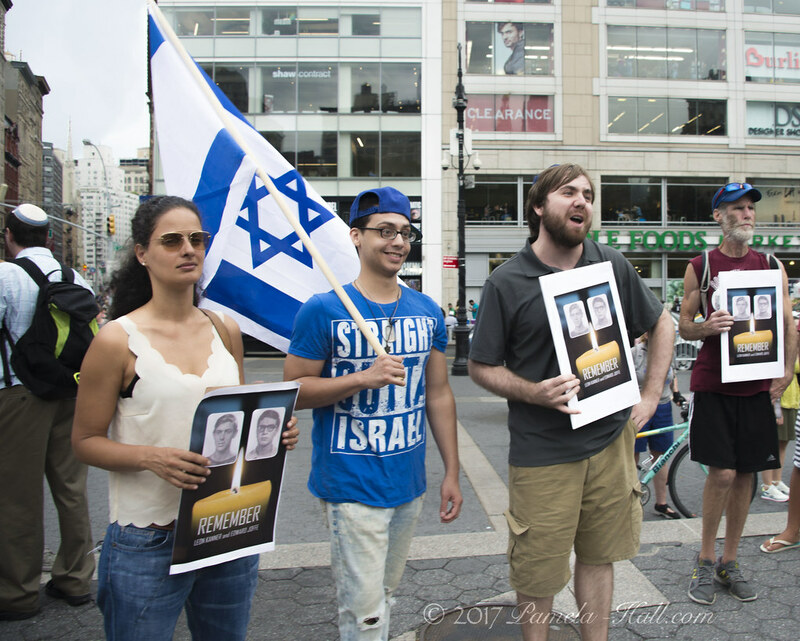 BUT, the New-JDL had a counter-demonstration to "Honor the Victims NOT the Killer, Rasmea Odeh". 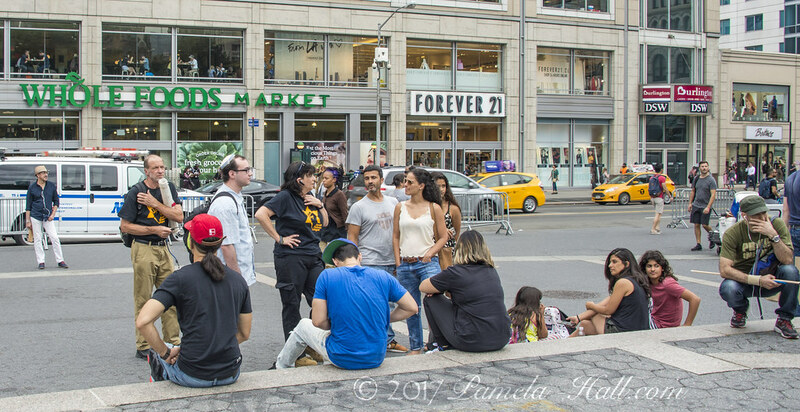 The JDL gathered "at the steps in the southern plaza" before the Samidoun arrived, creating a dilemma of sorts for the anti-Zionists. Now they couldn't display their signs on the steps as planned. A decision was finally made to walk in a circle (they love going round and round) and that they did while chanting "Racists go Home". 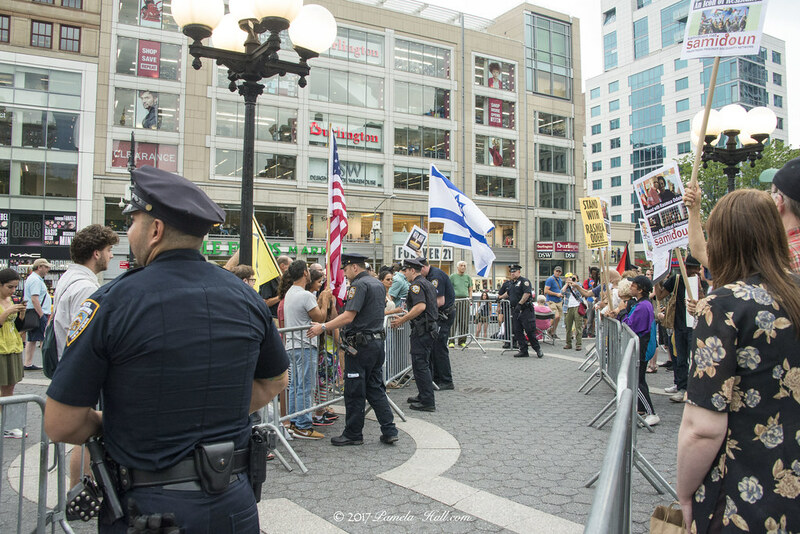 Eventually, some of the younger terrorist-lovers did the predictable, standing in front of the JDL signs.Then some of the younger JDL's became more vocal as they two sides edged closer and closer finally coming nose to nose just as the NYPD arrived. 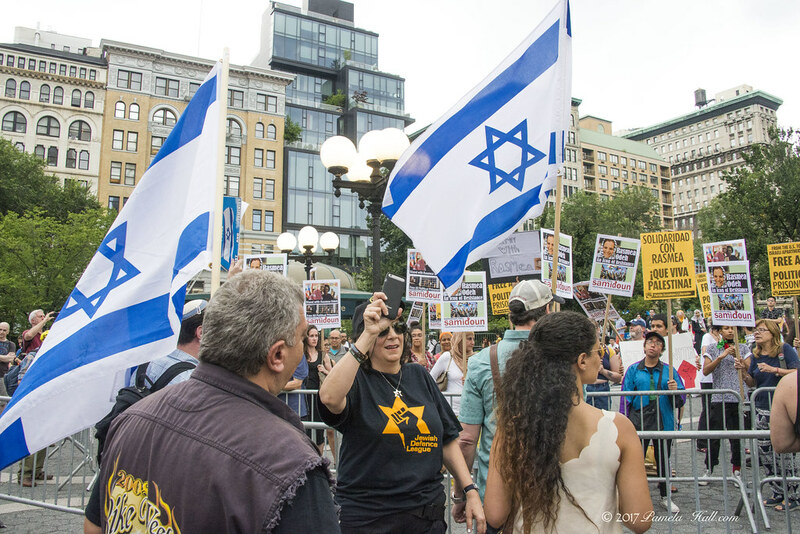 The JDL counter-protest was VERY successful proving it does NOT take an army to weaken the resolve of these radicals - even though that may be brief - it was FUN to watch their confusion. 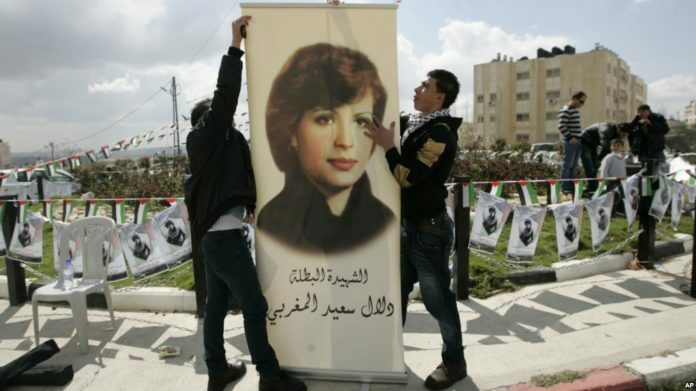 They were obviously expected only SUPPORT for their murderous darling, Rasmea Odeh. 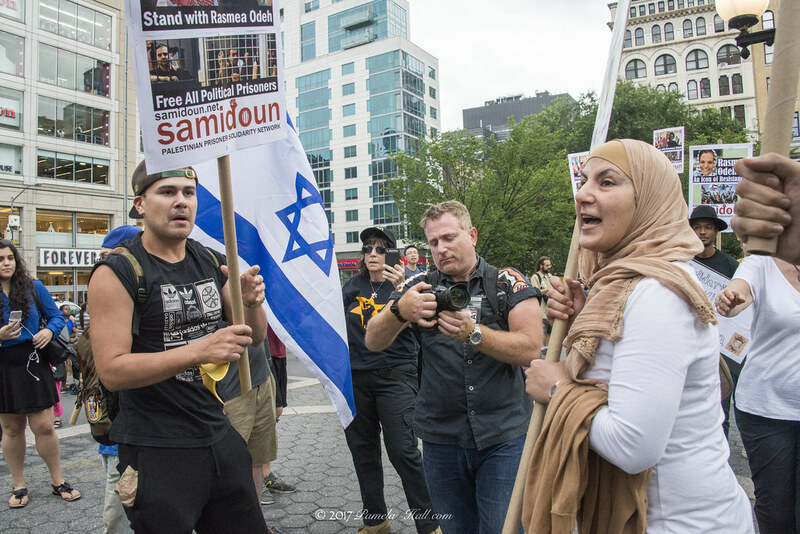 Maybe there's something to be said for walls, PEACE and safety from the violent animus of WAR-mongers like Samidoun and Hamas. 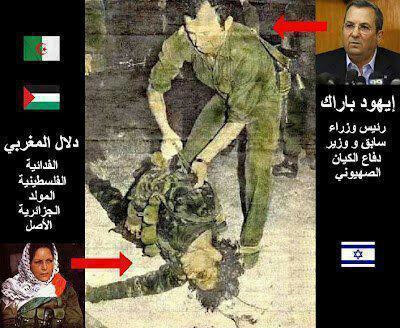 The creation of a state of terror, instability and panic in the souls of the Zionists" is a goal spelled out in the Islamic Jihad's internal bylaws [...] Hamas unveiled an updated charter this year [...] it remains committed to never recognizing Israel's right to exist and demands "the full and complete liberation of Palestine : "from the river to the sea". 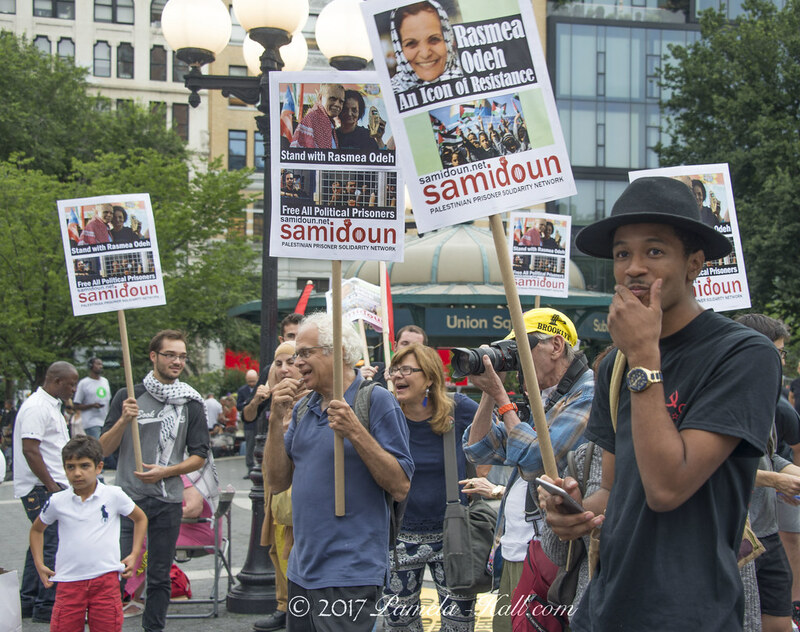 FAKE NEWS UPDATE: Samidoun Palestinian Prisoner Solidarity Network can't handle the TRUTH: the JDL hung in there and RAINED on the Samidoun Parade. NOBODY LEFT! David Jamesnovitch August 14 · "Racist scum from JDL just showed up to the anti Trump event waving a "blue lives matter" and were shouted down by the crowd and left abruptly." NEXT: THE LIES CONTINUE. 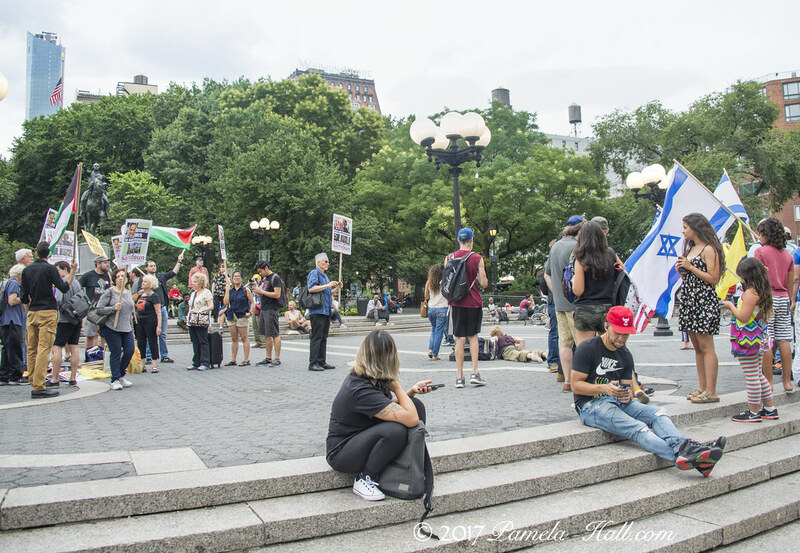 SEPT 19, 6 PM – 8 PM - Dag Hammarskjöld Plaza - outside the U.N. "From the US to Palestine" #BuildMovementsNotWalls. 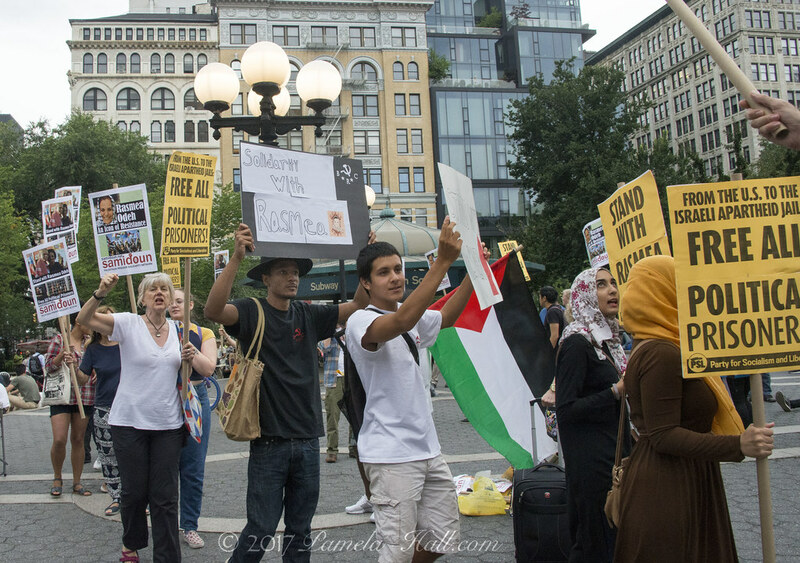 Hosted by American Muslims for Palestine – NJ Chapter and Jewish Voice for Peace-New York City. 9-11 NEVER GIVE IN - NEVER FORGET! !